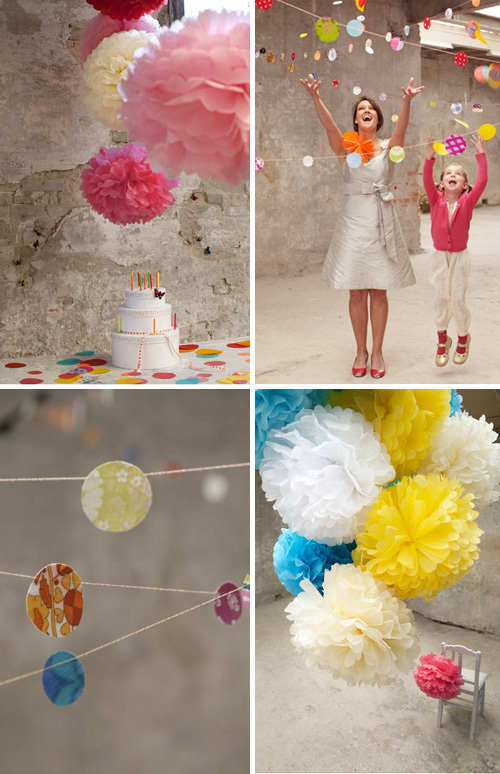 Today I’m loving … these colourful pompoms and bunting from Dutch label Engelpunt. The retro and recycled fabrics make the confetti bunting (top right image) subtle, colourful and long-lasting. The bunting is over 5 m long and each flag has a different design. They are all handmade at a reintegration workplace in Amsterdam. love these! just started my own wordpress blog….what picture program do u use to create those photo collages?